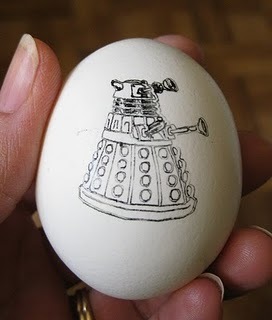 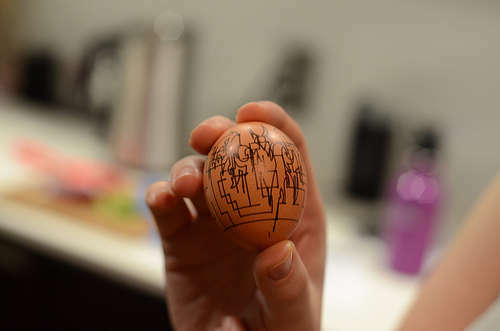 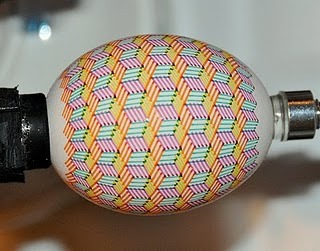 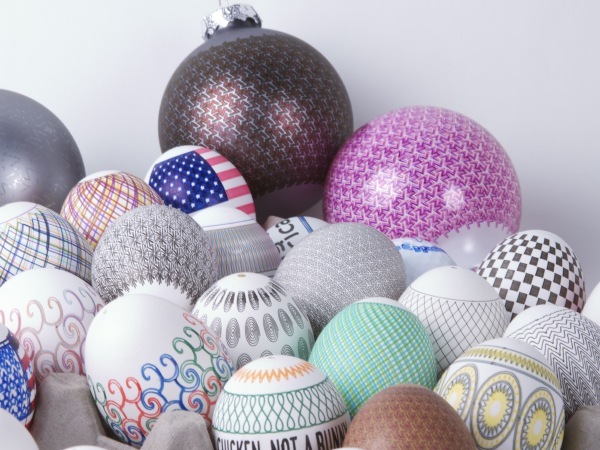 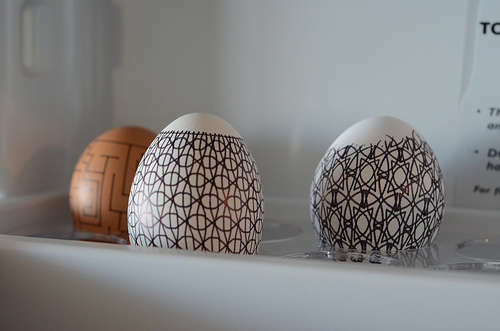 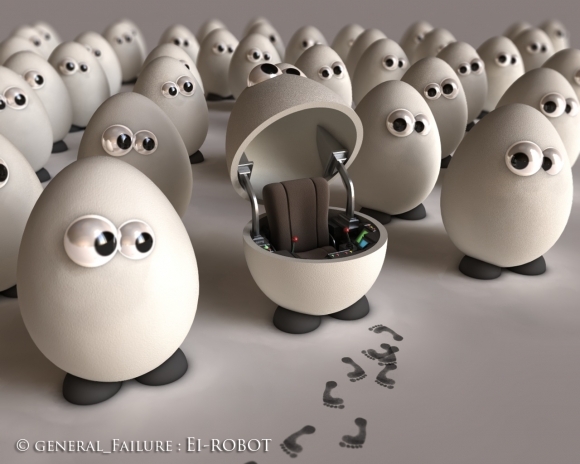 Modernity Collective: Egg-Bot for Easter! 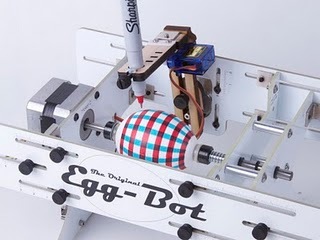 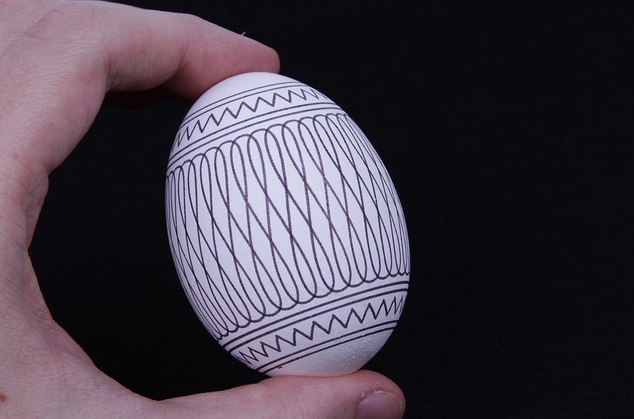 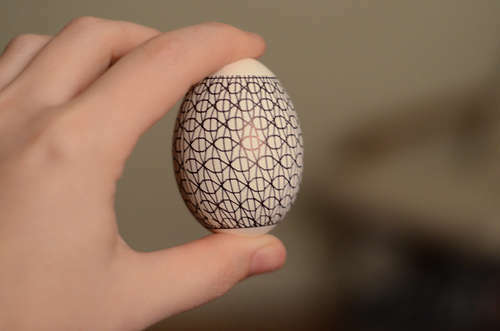 The Eggbot is an open-source art robot that can draw on spherical or egg-shaped objects from the size of a ping pong ball size to that of a small grapefruit. 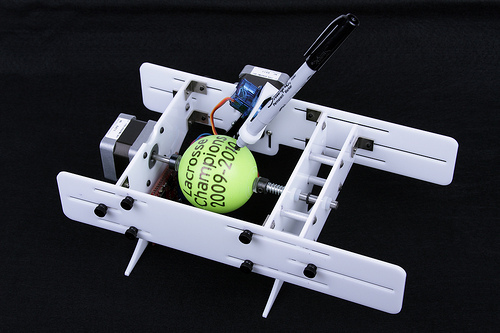 Super adjustable; designed to draw on all kinds of things that are normally "impossible" to print on. 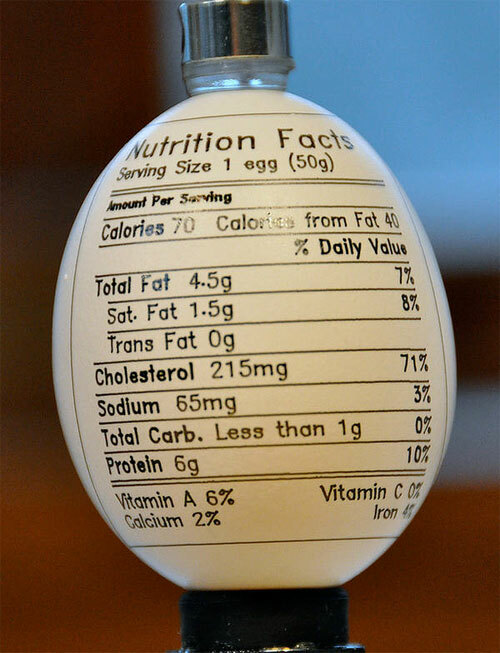 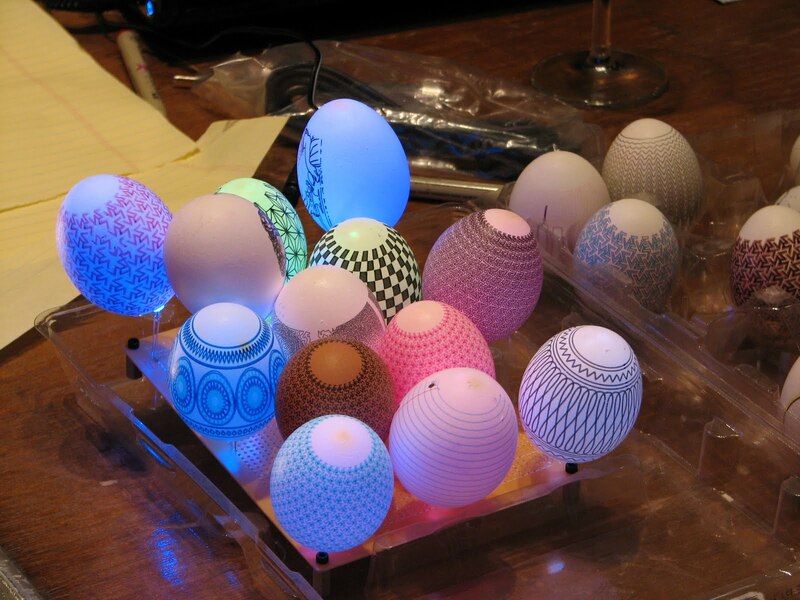 Not just eggs but golf balls, light bulbs, mini pumpkins, christmas ornaments and even things like wine glasses!! 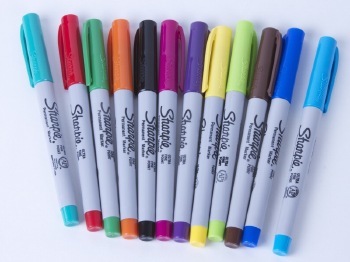 & you can use a variety of colors!!! 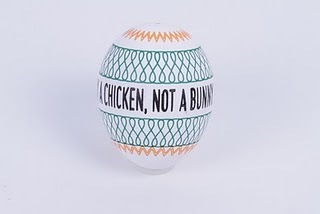 "From A Chicken, Not A Bunny" haha! 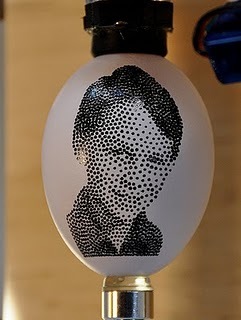 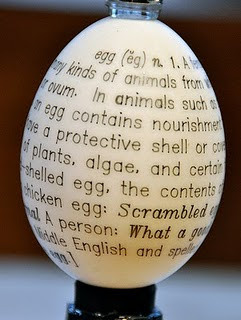 You can customize your own design on your computer with the Egg Bot software or choose from a variety of pre-made templates.